Tired of that same old bathroom suite in your Bournemouth home? Take action today and call BST Bathrooms on 023 8045 3112 or 07968 347 241 for superb bathroom suites Bournemouth service that will renovate your life. Regardless of your bathroom size or budget, BST Bathrooms has the perfect suite for your home. Are you unhappy with the choice of bathroom suites out there? 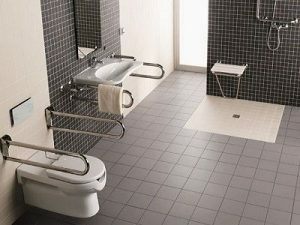 If you cannot find a bathroom suite to match your bathroom needs or requirements, BST Bathrooms have a range of bathrooms suites that will fit all of your needs and Bournemouth home. Unlike our competitors, BST Bathrooms has a multi-skilled force of tradesmen who will ensure that your bathroom is installed quickly and efficiently. As well as bathroom suite installation, our company offers the skills of our carpenters, plumbers and electricians for a quick and all-in-one service that will save you time and money. Choosing a bathroom suite that matches your tastes and that of your home can be a difficult decision. Luckily for you, BST Bathrooms have a wonderful selection of bathroom suites in stock today. The team at BST Bathrooms will work with you to deliver a great service. We believe in offering our customers great value for money which is why we offer one of the most competitive prices for bathroom suites in Bournemouth. A quotation for our services will be a fixed quotation and will not change during the installation of your bathroom suite. The only time we will make a change to the original quotation if extra work is requested or incurred, but this will only go ahead with your agreement. For the best bathrooms suites in Bournemouth service, call BST Bathrooms 023 8045 3112 or 07968 347 241.